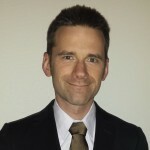 Mattias is a medical doctor with 10 years’ experience in the pharmaceutical industry, primarily in European Market Access and Medical Affairs (medical marketing). Mattias has held leadership roles in both global and European affiliate organizations within both small biotech and large pharma companies. He is an expert in the evolving role of European Medical Affairs and has extensive rare/orphan disease experience including market access planning, European launch sequence planning, preliminary pricing, and establishing Named Patient Sales networks for rare/orphan disease products. His specific therapeutic area experience includes European rare disease, diabetes, and neurology markets. Although Mattias’s focus has been primarily on the EU 5 countries, he is an expert in Scandinavian region access and pricing. Mattias lives in Malmo, Sweden.